I totally heart those flats! :) Adorable! so nice! i love this bag and these shoes! Those heart flats are adorable, perfect for vday! Love that bag and the flats!!!! Does that bag hold much? I want that shirt. I love the flower detail. You look ADORABLE! I love those shoes! 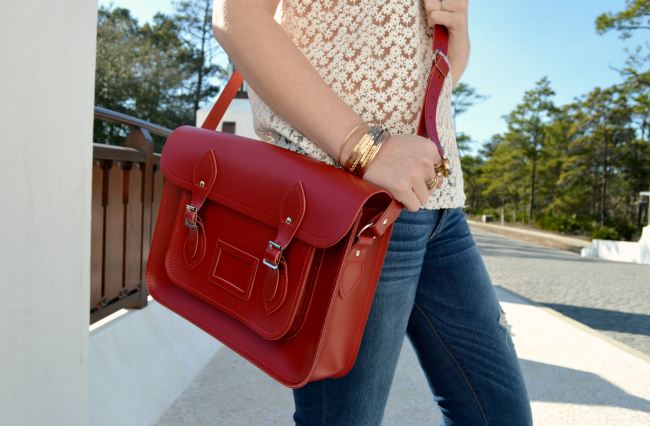 And I've had my eye on the Cambridge Satchels for a while...the red is great! This is an adorable look on you, I love the shoes!! This is why I love Modcloth. Presh. 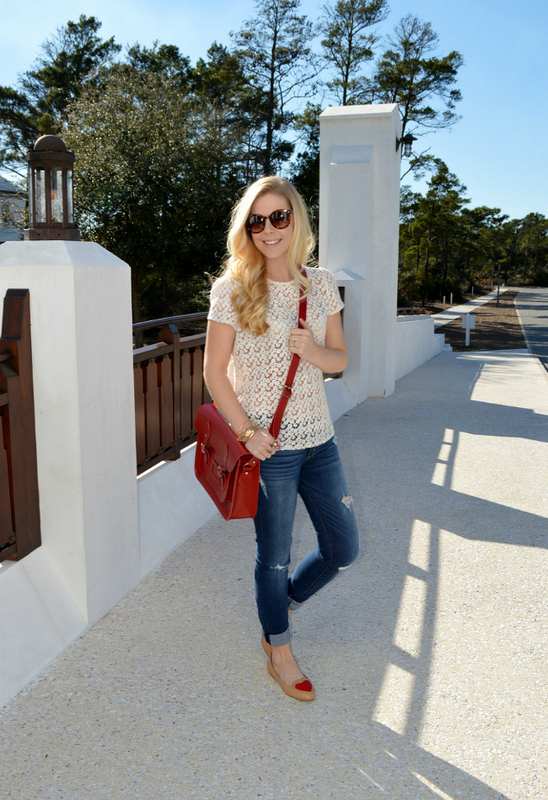 Those shoes are too cute and love the shade of red on the satchel! Those are the cutest flats ever! I love how much they add to this casual outfit! You look adorable. Those shoes are just all sorts of adorable! I am absolutely DYING over those flats. They are perfect. Very cute flats, and I love the casual cute outfit! Happy Monday! Adorable shoes. Perfect to wear in February. Cute flats! I always loving finding fun, new flats..
Those flats are so beautiful!! 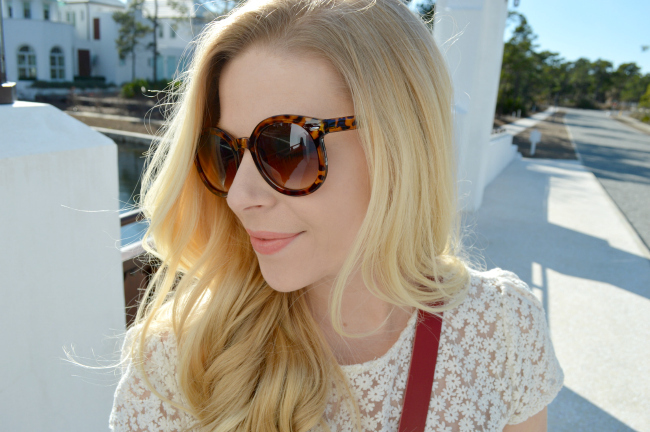 PS - I'm back on the blog! Check it out! The flats are adorable, such a cute outfit Anna! Those flats are so cute, perfect for Valentines Day coming up! Your shoes are beyond adorable! This outfit is so pretty. 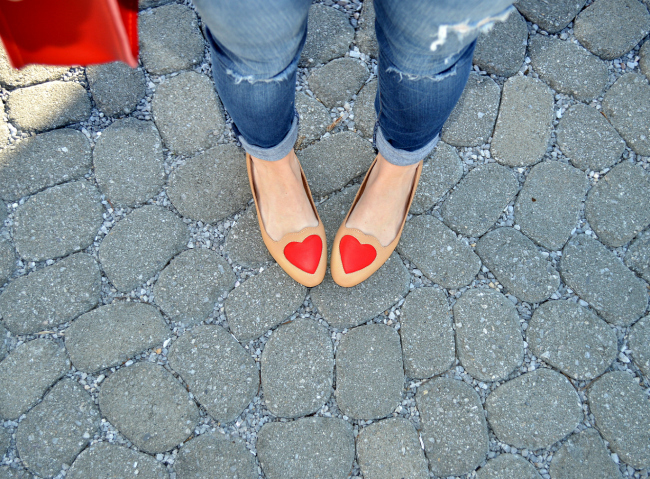 I'm obessed with this pretty heart flats. These are adorable and I love the satchel! Adorable flats! Perfect for Valentines Day! I love your flats and that bag is pretty cute! Those shoes are gorgeous. I want a pair! your are sharing interesting information. Thanks for your valuable thoughts. I like your blog. Love those shoes! Super cuuuute!!! I also love the ripped jeans because it is a subtle ripped...not like jeans with huge holes!! i like this version better :) Great style . Xo. So cute...I recently brought a similar bag, but it's beige with black spots and you have reminded me to use it! Love this look! Very cute. Love those shoes!!!!!!! cute, cute, cute shoes! 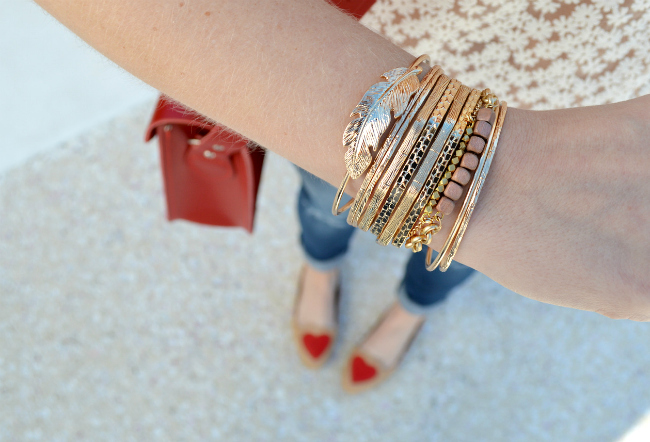 love the colors and obviously the hearts! oh! these ballet flats are super cute! Totally in love with those flats! I love this outfit! Those shoes are so perfect! This really is a cute Top, love it! I love this shoes! I followed you, do you follow me?